living at North Haverhill, Grafton County, New Hampshire. New Hampshire Statewide Marriage Records 1637-1947,, Concord: New Hampshire Bureau of Vital Records and Health Statistics, , FHL Film Number: 1001314. New Hampshire Deaths and Burials, 1784-1949, at https://www.familysearch.org, FHL Film Number: 1001112. "Ohio Deaths, 1908-1953," database with images, FamilySearch (https://familysearch.org/ark:/61903/1:1:X63Z-WZ9 : 8 December 2014), Jennie L Henderson, 06 Nov 1925; citing Youngstown, Mahoning, Ohio, reference fn 64774; FHL microfilm 1,992,765. Vital records of Amesbury, Massachusetts to the end of the year 1849, , at https://archive.org/details/vitalrecordsofam00ames . Topsfield, Mass. : Topsfield Historical Society, (1913) , p. 93. 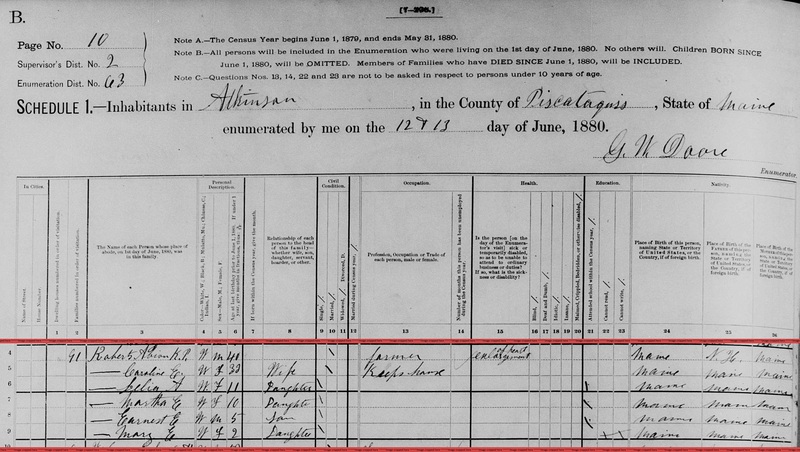 "New Hampshire Birth Records, Early to 1900," database with images, FamilySearch (https://familysearch.org/ark:/61903/1:1:FLLP-MDM : 12 December 2014), Mary S Elliott, 14 Jun 1850; citing Hooksett, Merrimack, New Hampshire, United States, Bureau of Vital Records and Health Statistics, Concord; FHL microfilm 1,000,499. "New Hampshire, Marriage Records, 1637-1947," index and images, FamilySearch (https://familysearch.org/pal:/MM9.1.1/FLCC-ZHK : accessed 24 Nov 2012), Paige A. Boynton and Prudence S. Merrill and null, 1907. 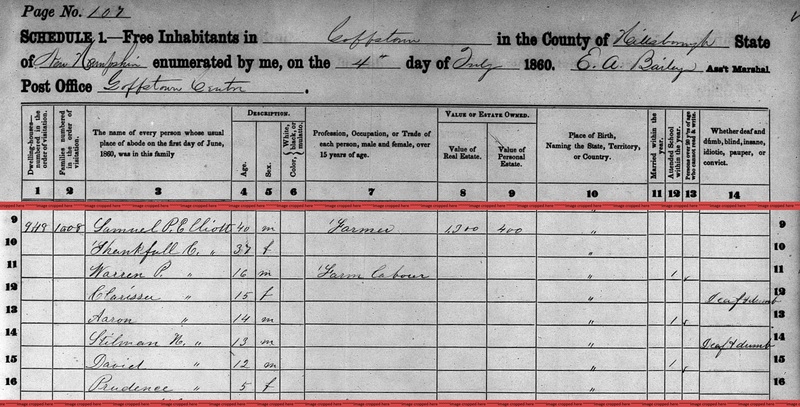 "New Hampshire, Birth Records, Early to 1900," index and images, FamilySearch (https://familysearch.org/pal:/MM9.1.1/FLLP-9L6 : accessed 24 Nov 2012), Samuel P Elliot, 04 Apr 1820. 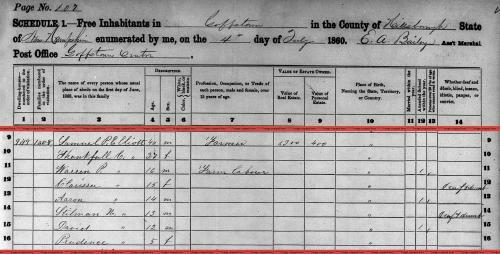 "New Hampshire, Birth Records, Early to 1900," index and images, FamilySearch (https://familysearch.org/pal:/MM9.1.1/FLLP-SQQ : accessed 24 Nov 2012), Warren P Elliot, 05 Jul 1844. 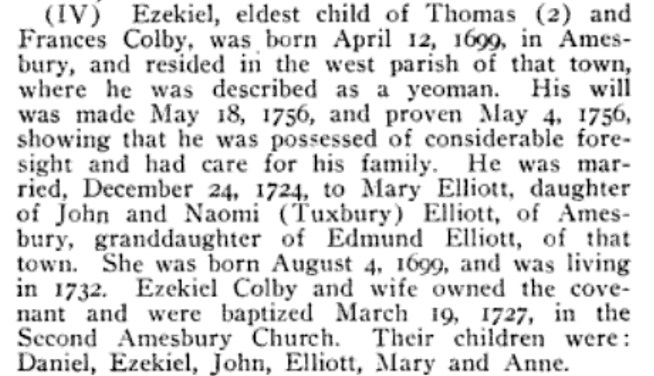 "Maine Births and Christenings, 1739-1900," database, FamilySearch (https://familysearch.org/ark:/61903/1:1:F4S6-LJN : 4 December 2014), Caroline Elizabeth Elliot, 12 Oct 1848; citing Levant, Penobscot, Maine; FHL microfilm 11,530. 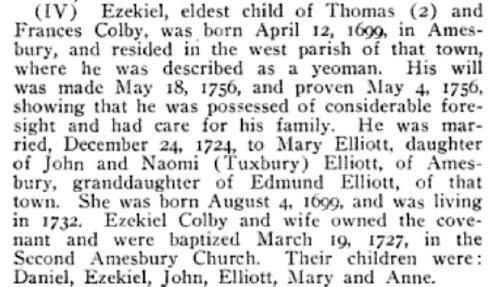 "New Hampshire, Birth Records, Early to 1900," index and images, FamilySearch (https://familysearch.org/pal:/MM9.1.1/FLLG-RFC : accessed 18 Aug 2012), Moses C Elliott in entry for Daniel Cheney Elliott, 26 Jul 1823. 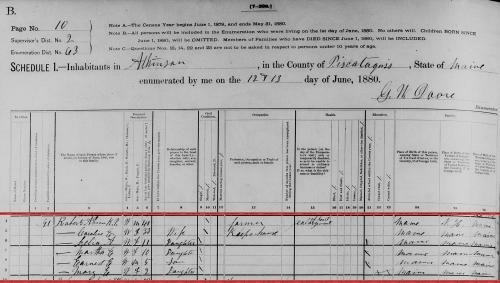 "New Hampshire, Death Records, 1654-1947," index and images, FamilySearch (https://familysearch.org/pal:/MM9.1.1/FSJZ-7QM : accessed 18 Aug 2012), Moses Elliott in entry for Daniel C. Elliott, 09 Apr 1904.